IP Number Under the current Internet Protocol system, each machine connected to an Internet Protocol ("IP") network is addressed using a 32 bit number, the IP address. these addresses are usually written in "dotted quad" notation, as a series of four 8 bit numbers, written in decimal and separated by periods. for example, an IP address might appear as 151.126.95.10. Many machines have more than one IP address. For example, a machine hosting multiple websites often has an IP address for each website it hosts. Other times, a pool of IP addresses is shared between a number of machines e.g. on a dynamic IP dialup connection such as the Prodigy Internet Service, a subscriber's machine will be allocated a different IP address each time the subscriber connects. -- British Telecom v. Prodigy, OO Civ 9451, Memorandum and Order Granting Summary Judgment (SDNY August 22, 2002) (citations omitted). The two basic functions of IP include (1) addressing and (2) fragmentation of data, so that information can move across networks. An IP address consists of a fixed sequence of numbers. IPv4 uses a 32-bit address format, which provides approximately 4.3 billion unique IP addresses. 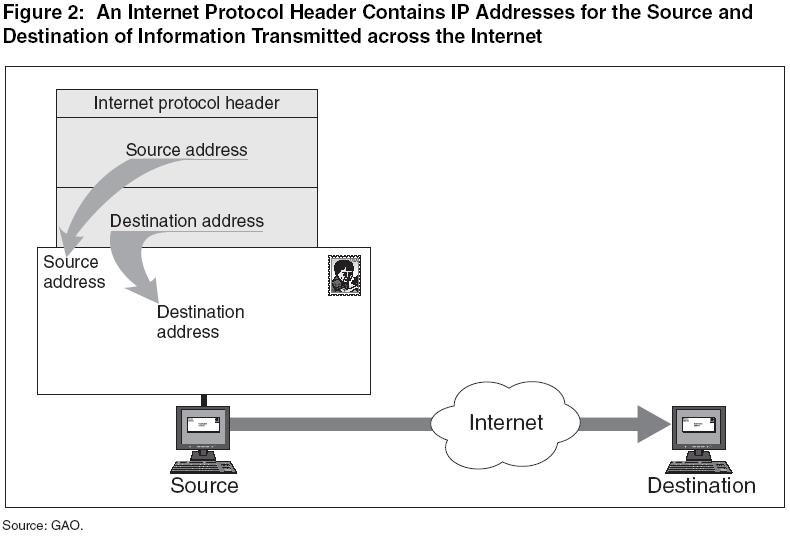 Figure 1 provides a conceptual illustration of an IPv4 address. By providing a numerical description of the location of networked computers, addresses distinguish one computer from another on the Internet. In some ways, an IP address is like a physical street address. For example, in the physical world, if a letter is going to be sent from one location to another, the contents of the letter must be placed in an envelope that contains addresses for the sender and receiver. Similarly, if data is going to be transmitted across the Internet from a source to a destination, IP addresses must be placed in an IP header. Figure 2 provides a simplified illustration of this concept. In addition to containing the addresses of sender and receiver, the header also contains a series of fields that provide information about what is being transmitted. IP addresses are allocated in different size blocks, each containing different numbers of addresses. To give an idea, below are several examples of block allocations. See the RIPE information for an excellent detailed chart of block sizes. Derived From: Characteristics and Competitiveness of the Internet Backbone Market , GAO-02-16 p.34 (Oct. 2001). Devices known as "routers" send data packets from one network to another by examining the destination IP address of each packet. In its memory, the router contains a "routing table" which contains information specifying all of the IP addresses of other networks. The router compares a packet's destination IP address with the information contained in the routing table to determine the network to which the packet should be sent. In order to ensure that packets from one network can reach any other network, the router must include an entry for each possible network. As more and more network addresses come into use, there is concern about the growth in the number of routing tables entries. Historically, IP addresses were organized into three commonly used classes-Classes A, B, and C. For Class A, there are 126 possible network addresses, each with nearly 17 million hosts. Slightly more than 16,000 networks may have a Class B address, each with over 65,000 hosts. Finally, there can be approximately 2 million networks with a Class C address, each with a maximum of 254 host addresses. As the Internet grew, engineers quickly identified the problems associated with exhaustion of class B addresses and the increasing number of Class C address entries in routing tables and developed a solution known as Classless Inter-Domain Routing (CIDR). CIDR treats multiple contiguous Class C addresses as a single block that requires only one entry in a routing table. This method of IP address allocation was adopted for technical efficiency reasons-the number of IP addresses that must be maintained in each router for traffic routing purposes is substantially reduced. However, this method of IP address allocation presents unique problems for smaller ISPs and other entities. If an entity seeking IP addresses cannot utilize a large block of address issued by ARIN, the entity must obtain their addresses from among the allocations made by ARIN to their Internet backbone provider. ISPs and end users with whom we spoke expressed concern about method of IP address allocation. [Karrenberg, Development of RIRs] In order to accommodate more address blocks, this was replaced by classless Inter-Domain Routing in 1993. The fields in the header are important to the protocol’s second main function: fragmentation of data. IP fragments information by breaking it into manageable parts. Each part has its own header that contains the sender’s address, destination address, and other information that guides it through the Internet to its intended destination. When the various packets arrive at the final destination, they are put back together into their original form. IP numbers are assigned to each Internet host (i.e., computer, device). See NRO Statistics for the Internet Number Resource Report, detailing how much of the address space has been allocated to whom. Historial RIR Allocations http://www.aso.icann.org/stats/index.html, http://www.iana.org/assignments/ipv4-address-space. Allocation: The allocation of a block of IP addresses that may then be reallocated or assigned. Assign: The assignment of a block of IP addresses to an end user that will not be reallocated or reassigned. IANA allocates large blocks of numbers to the Regional Internet Registries, who then allocate or assign the blocks to downstream networks. [ARIN Guide] [The RIRs collectively come together as the Number Resource Organization Letter from NRO to ICANN March 23, 2009 confirming NRO's commitment (recognizing) to ICANN ; Letter from ICANN to NRO April 17 2009 confirming ICANN's commitment (recognizing) the RIRs ] IPv4 addresses are generally allocated by IANA in really large blocks. See IANA IPv4 Address Space Registry providing a table of /8s allocations. The RIRs then delegate large blocks of numbers to (1) large networks such as Internet backbones, universities, or large corporate networks or to (2) National or Local Internet Registries (NIR or LIR). Smaller networks or end users get IP numbers from their upstream network providers. Records of these allocations and assignments (from IANA to RIRs; from RIRs to ISPs; from ISPs to customers) are maintained by the RIRs (See WHOIS and SWIP). According to ARIN, for allocations to ISPs which are reassigned to customers, "Each IPv4 assignment containing a /29 or more addresses shall be registered in the WHOIS directory via SWIP or a distributed service which meets the standards set forth in section 3.2. Reassignment registrations shall include each client's organizational information, except where specifically exempted by this policy." "If the organization does not supply the information, ARIN may withhold future allocations, and in extreme cases, existing allocations may be affected." Now consider that although devices on network are reachable using IP numbers, those numbers are largely known only to the network. Humans are all but unaware of IP numbers. Instead, recognizing years ago that the IP numbers are difficult for the humans to remember, the domain name system (DNS) was developed. A domain name is an alias for an IP number, that is both easier to remember and also can be reassigned from one IP number (one computer at one host) to another IP number (another computer at another host) without any interruption of service. The IPv4 address space is exhausted; IPv6 has been developed to expand the address space and is being deployed. Legacy Addresses: There were address blocks allocated prior to the current RIR system. These are known as the Legacy Blocks and generally are administered by ARIN, however, the block assignments may not be under ARIN's current contracts and agreements. [ARIN Legacy] Problems with the Legacy Address space include inefficient use of the address resource, abandonment and hijacking, invalid WHOIS records, and ambiguity as to property rights (addresses allocated or assigned by the RIRs include a contractual agreement that the recipient retains no property rights in the addresses). There is also a "Private IP Address Space" which is not publicly announced and which is not routable. Private IP Address Space: An allocation of IP addresses intended to be utilized on a private network for internal routing and not to be announced or routed to the public Internet. Since the address block is not announced and routed, it can be re-used over and over inside networks without creating an addressing conflict (something like PBX in the telephony world). Public IP addresses are translated into private addresses with Network Address Translation (NAT Boxes). There are also reserved special use blocks held by IANA that are not allocated. IP address blocks have historically been allocated based on need. 1 The costs involved in receiving an allocation are nominal and are not generally a factor in considering whether to apply for an allocation. 2 The principle requirement has been the ability to demonstrate need for the IP addresses, pursuant to community developed RIR address policy. If an address block was not needed, it would (in theory) be returned; it could not be traded. 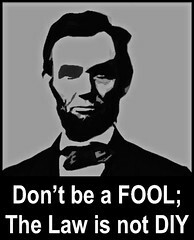 Hijacking IP addresses for purposes of spam may be a violation of federal law. According to 18 USC 1037(a)(5): " Whoever, in or affecting interstate or foreign commerce, knowingly-... (5) falsely represents oneself to be the registrant or the legitimate successor in interest to the registrant of 5 or more Internet Protocol addresses, and intentionally initiates the transmission of multiple commercial electronic mail messages from such addresses, .... or conspires to do so, shall be punished as provided in subsection (b)." See Can Spam Act. The resulting lack of accurate address information also has significant implications for law enforcement and global anti-cybercrime efforts. Finally, there is also concern about the impact of address transfers on the routing table and fragmentation. 1 Geoff Huston, IPv4 Address Report. 2See ARIN Number Resource Policy Manual, Sec. 4.2 Allocation to ISPs (Jan. 13, 2010). 4 Lljitsch van Beinjnum, Everything You Need to Know About IPv6, Ars Technica (Mar. 7, 2007) (such efforts only buys us a few more years). 5See Milton Mueller, Scarcity in IPv4 Addresses: IPv4 Address Transfer Markets and the Regional Internet Address Registries, IGP (July 20, 2008); OECD Study: Economic considerations in the management of IPv4 and in the deployment of IPv6, p. 26 (May 2008); Huston, G., IPv4 address transfers, proposed to APNIC on 26 July 2007 ; Titley, N. and van Mook, R., Enabling methods for reallocation of IPv4 resources, (Oct. 23, 2007); Dan Campbell, Comments on an IP Address Trading Market , CIRCLEID (Feb. 15, 2008). 6See Next Generation Internet: IPv4 Address Exhaustion, Mitigation Strategies and Implications for the US, IEEE-USA White Paper, p. 11 (2009); Communication From the Commission to the European Parliament, the Council, the European Economic and Social Committee and the Committee of the Regions, Advancing the Internet: Action Plan for the Deployment of Internet Protocol version 6 (IPv6) in Europe, p. 4 (May 27, 2008). See RIPE NCC IPv4 Address Allocation and Assignment Policies for the RIPE NCC Service Region, Sec. 5.5 Feb. 2010. 7 OECD Study: Economic considerations in the management of IPv4 and in the deployment of IPv6, p. 27 (May 2008). 8 Milton Mueller, Scarcity in IPv4 Addresses: IPv4 Address Transfer Markets and the Regional Internet Address Registries, IGP p. 17 (July 20, 2008) ( " The transition could turn out to be more complicated, costly and difficult than anticipated, and we don't know how long it will last. If we try to use an address shortage to force ISPs into making the transition before they are ready, we could develop damaging gaps in connectivity due to shortages of address resources and compatibility problems. " ). 9See ARIN Number Resource Policy Manual, Sec. 4.2.3 Reassigning Address Space to Customers (Sept. 2010); IPv4 Address Allocation and Assignment Policies for RIPE NCC Service Region, Sec. 5.5 Transfers of Allocations (Oct. 2010). 10See OECD Study: Economic considerations in the management of IPv4 and in the deployment of IPv6, p. 27 (May 2008); Ray Plzak, IP Address Hijacking: An ARIN Perspective (Nov. 2003) (PDF). 11 See Dan Campbell, Comments on an IP Address Trading Market, CIRCLEID (Feb. 15, 2008); IPv6 in Canada: Final Report and Recommendations of the ISACC IPv6 Task Group (IITG), IITG Final Report to ISACC, ISACC-10-42200, p. 16 (Mar. 16, 2010) (" Unclear ownership of some IPv4 addresses plus a lack of tools to block wrong addresses could lead to instability of the routing system ") . 12 Ray Plzak, IP Address Hijacking: An ARIN Perspective (Nov. 2003). Internet access service providers assign, out of their pool of addresses, an IP number to an end user. Generally, ISPs have more end users than IP addresses. ISPs employ several strategies for assigning the smaller set of IP addresses to the larger set of of end user devices. Fix (static) assignments: Some end users may received fix assignments of IP addresses that do not change. This permits end-to-end connectivity. This is typical of higher-end end-users such as enterprises or campuses. This may be a premium service. An end user's IP address assignment changes depending on what network the end-user connects to. End users may receive their IP number assignment from their own residential Internet access account, from an open access point such as a coffee house, or from their place of employment or campus. Two neighbors can receive IP addresses from different IP address blocks, because they receive service from different Internet access service providers. An access point can be open and provide Internet access and an IP address to anyone requesting access, or it can be secured, providing access and an IP address only to those were the network password. See WiFi Security. IP addresses are assigned to devices (not individuals or locations). For a residential BIAS account, the IP address may be assigned to the residential network interface device (the device may be a router and NAT, which then assigns private addresses to each device in the house attempting to connect to the Internet). For mobile phone service, the IP address may be assigned to the mobile phone. [Hogg] For an enterprise, the IP address may be assigned to the enterprise network gateway. One IP address may be associated with a single end user, a household of end users, an enterprise, a campus, or constantly changing set of end users such as at a coffee house. [Breaking Glass] An end-user (or network) that is multi-homed by have multiple different IP addresses assigned to it simultaneously. Onion Routing. Bounces traffic through three different nodes of TOR before ultimate destination. Uses proxies so that man-in-the-middle cannot intercept communications and see destination of communications. Problem: Slow and limited capacity. Internet Control Message Protocol: runs on top of IP. in parallel with TCP and UDP. Triggered when packets encounters errors, such as time exceeded or destination unreachable. ICMP packet sent to source IP address with error message information. Both IP numbers and telephone numbers are used as addresses by end users to set up and engage in communications over networks. Both are unique addressing resources controlled by a central governing authority. Public Telephone Numbers are administered by the North American Numbering Council as the North American Numbering Plan, in cooperation with the FCC and other North America communications authorities. IP numbers are administered by the IANA function as a part of ICANN; North American IP numbers are administered by the American Registry of Internet Numbers (ARIN). The most determinative characteristic of what network an end user is communicating on is what addressing scheme is being employed. See Robert Cannon, Will the Real Internet Please Stand Up. 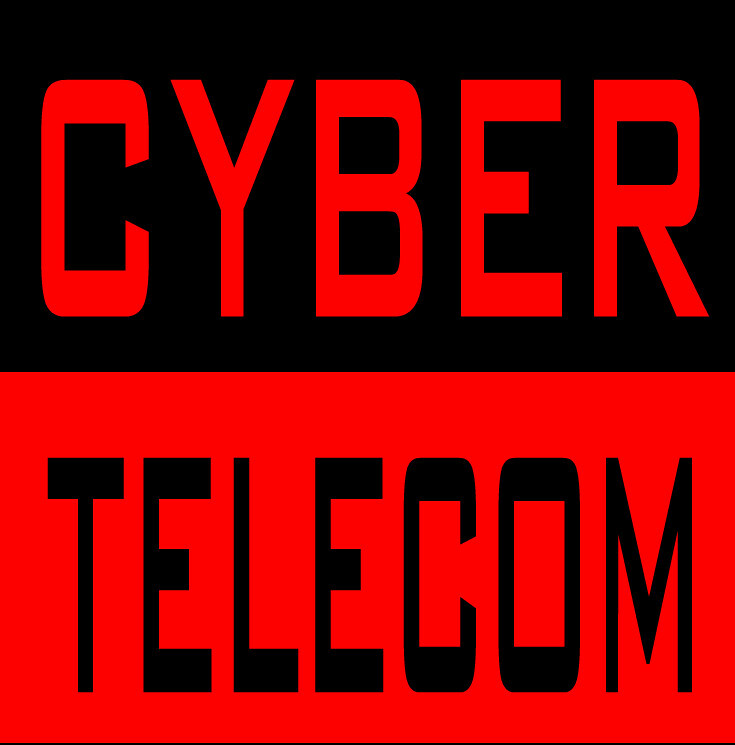 Network Neutrality (2015): Definition of "Telecommunications Service" was revised to include networks that utilize either the North American Numbering Plan or the ICANN IP numbering resource, thereby establishing that Internet access providers are "telecommunications services" (the only way, pursuant to the appeals court, that the FCC could apply non-discrimination obligations on Internet service providers). This then led to the FCC's privacy regulations, with which ISOC strenuously disagreed. [Mark Buell, IP Addresses are not Telephone Numbers: The Fundamental Flaw with the FCC's Proposed Privacy Rules, ISOC May 26, 2016] [See also Sally Shipman Wentworth, Thoughts on Today's FCC Net Neutrality Ruling, ISOC Feb. 26, 2015 ("we are concerned with the FCC’s decision to base new rules for the modern Internet on decades-old telephone regulations designed for a very different technological era.")] However, notice that ISOC is objecting to the application of telephone era regulations to the Internet more than they are objecting to the networking address analogy between IP numbers and telephone numbers. RIR IP Number Assignment and Whether IP Numbers are Property. If network addresses are the property of the subscriber, the network address can become encumbered in property disputes including bankruptcies, trademark disputes, and merger and acquisitions. The FCC has concluded that telephone numbers are the property of the telephone resource, and not the subscriber, allowing for the efficient operation of the network. RIRs have followed this precedent, adding contractual clauses to allocations and assignments that states that IP numbers are not property. Interconnected VoIP (iVoIP) providers by definition make use of the North American Numbering Plan and interconnect with other Public Telephone Networks. Therefore iVoIP providers need access to the NANP numbering resource, are required to provide number portability, and must have interconnection rights with other networks. IP Numbers as PII: Much of the discussion of whether an IP number can legitimately be considered PII and used to authenticate or identify an individual starts with an analogy to telephone numbers. Milton Mueller and Brenden Kuerbis, Regional Address Registries, Governance and Internet Freedom (November 26, 2008). Internet Governance Project. Paper IGP08-005. How Prevalent is Prefix Hijacking on the Internet, NANOG Feb. 2006 (attributing significant number of misconfigs to fat-fingers). Internet Number Resource Report, Number Resource Organization (March 2014). This data is updated quarterly and is available at NRO Statistics.